The Compulocks Secure Universal Cling Bracket with Adjustable Floor Stand is designed to work with many tablets and iPad models with just one mount! This updated version is compatible with a variety of tablet models and sizes making it a near-universal tablet security solution. Securing your tablet is a re-designed bracket clamp and VESA mount base. The most notable update is the mount now includes cable management and hidden screw holes. The Compulocks Secure Universal Cling Bracket with Adjustable Floor Stand can still rotate between portrait and landscape mode and setup is quick and easy. 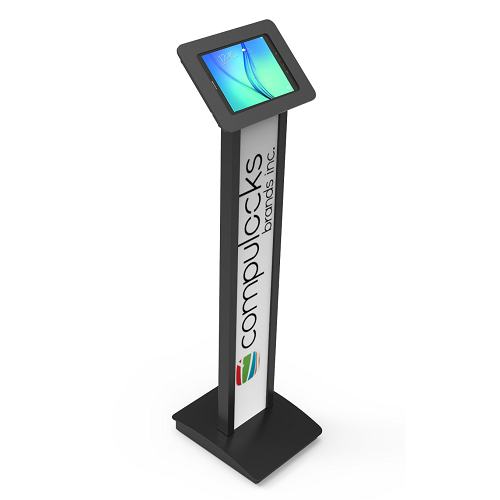 This Compulocks Secure Universal Cling Bracket with Adjustable Floor Stand is perfect for standalone kiosks, exhibitions, conferences, the point of sales, point of display and for customer interaction. Maclocks security solutions are used by the leading banks, airlines, restaurants and hotel chains, hospitals and government agencies worldwide. The stand is made from high-grade aluminium with a cast iron base for maximum stability with attractive styling. 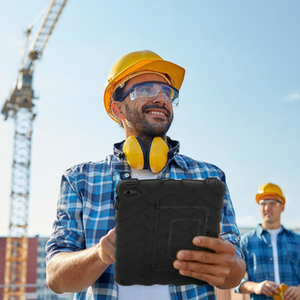 They have been designed by some of the world’s leading engineers in the field. 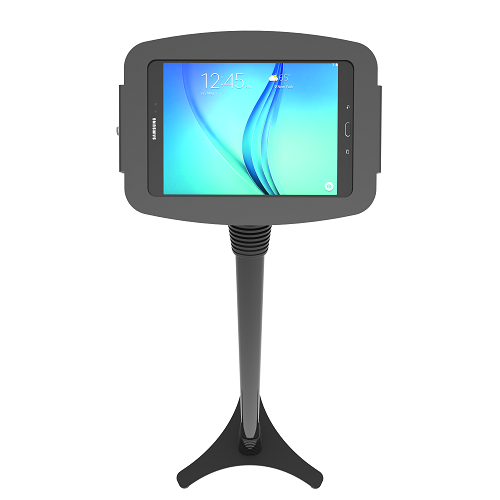 Our Adjustable stand can be set to various heights: 39″ – 45″ / 100cm – 115cm and the mount allows the Galaxy enclosure to be set in either portrait or landscape mode. Designed for maximum stability with a heavy steel base that provides cable management through the stand itself. Below the enclosure is a small storage area to hold the charging unit of the Galaxy. This feature provides a secure solution to prevent the power cube from theft. Other features of the Compulocks Secure Universal Cling Bracket with Adjustable Floor Stand are compatible with tablets 7″ – 13″, adjustable height floor stand, rotates between orientation modes, tamper proof security lock, and secure cable management. 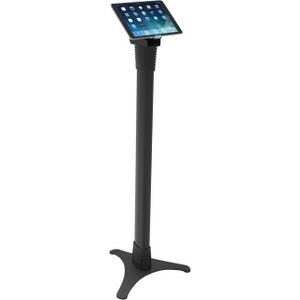 The Stand can be set up at various heights: 39″ – 45″ / 100cm – 115cm.